What are the Benefits of Oak Timber Flooring? No home is complete without a beautiful floor. Because hardwood is such a long lasting and timeless flooring option, many families throughout Australia decide to pick a hardwood floor for their home. One of the most popular choices for timber is oak. Oak is one of the most popular timber choices for hardwood floors. Not only is it extremely durable, but the beauty of oak is also distinct. Available in both European and North-American grown species, this timber species provides a variety of color and budget options. Today, we’ll explain the specific benefits of using oak flooring and point out two specific plank styles you should consider for your new floor. As one of the most hard-wearing timber options available, oak floors are one of the most popular flooring choices for families with floors that undergo an unusual amount of wear and tear caused by foot traffic and pets. Take a look at where oak comes in on the Janaka Hardness Scale to compare it against other timber species. One of the most unique features of oak flooring is the fact that its color improves over time. Often, the grain pattern will become more pronounced and the colors of the heartwood more vibrant. Another benefit of oak flooring is the wood’s ability to hold stain colors. Because the wood holds color extremely well, homeowners can pick from a variety of stains and finishes to achieve the look they want most. One of the most common complaints about wood flooring is its susceptibility to mold and insects. But unlike other timber species, oak is a highly durable material that is resistant to bugs like termites. Because oak floors are naturally resistant to insects and fungus, they don’t pose a risk of damaging the air quality in your home. Because of its overall ability to resist bugs, mold, and other common household allergens, oak is arguably one of the most hygienic floor coverings available. What Oak Flooring Planks Should You Consider? There are hundreds of different oak planks to choose from, each of which vary slightly in finish type, plank color, and dimensions. Below, you’ll find a few of the planks we recommend when searching for oak hardwood planks. Genuine French Oak Planks: French oak is considered the finest type of timber planks available on the market. These planks are characterized by long grain patters, soft colors, and a sophisticated look once installed. American Oak: American oak is a more affordable alternative to European oak, but still delivers the durability and beauty homeowners look for in an oak floor. The colors of these planks include beige, browns, tans. 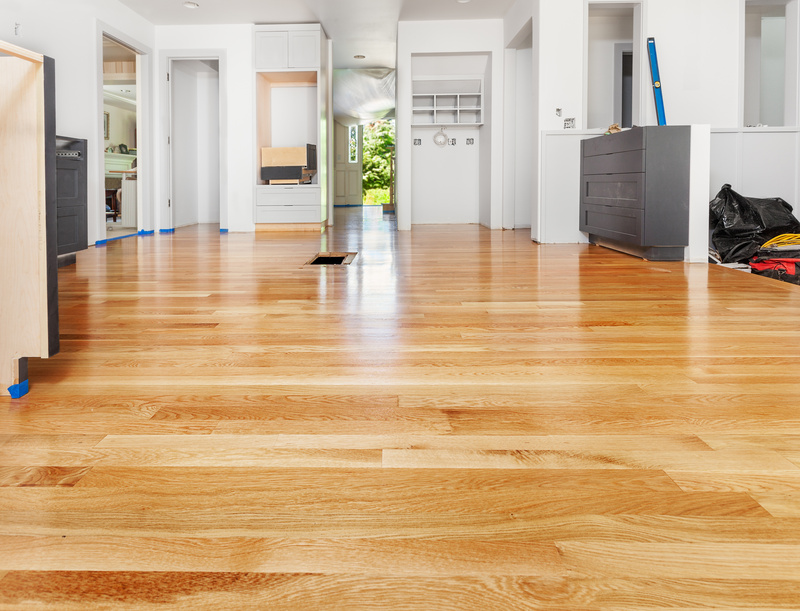 Overall, oak flooring is one of the most durable and aesthetic choices for any Australian home. Because it is naturally resistant to fungus, insects, and mold, it’s also one of the healthiest flooring choices you can choose for your indoor air quality. Homeowners who are seriously considering oak flooring should consider American oak for a tight budget and French oak for homes who are interested in a high-quality floor. If you have any questions about picking the right floor for your home, call us today at 1300 823 958 or visit our Sydney showroom.